(Reprinted with permission from tenfold.com. 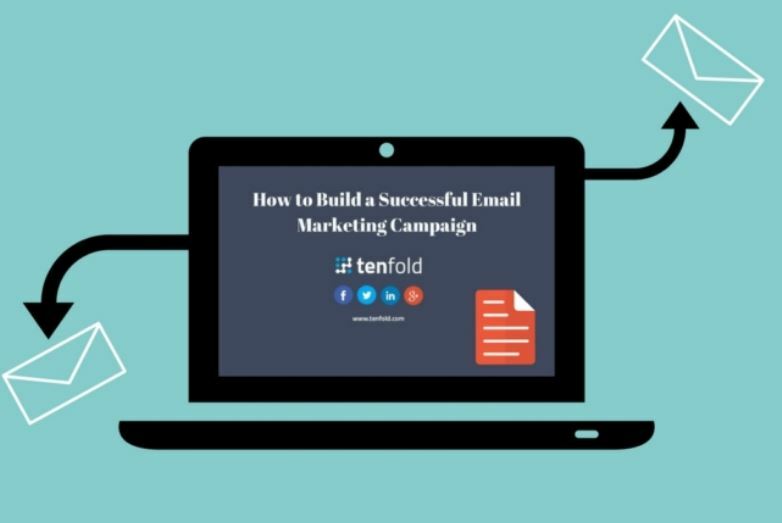 Source: https://www.tenfold.com/email-marketing/build-successful-email-marketing-campaign). As digital engagement continues to grow, companies are turning to avenues like social selling, and the next “big thing” that will launch them into the monetary stratosphere. While it’s always proactive to be on the lookout for new technologies and strategies that can increase the productivity and success of your business, it’s equally important to stay committed to practices that are still working; namely, email marketing. The practice began in 1978, “when Gary Thurek, a marketing manager for the now defunct computer company Digital Equipment Corporation, sent out an unsolicited mass email promoting his firm’s computer products.” While Thurek was ultimately scolded for his unauthorized email outreach, it’s hard to argue against his efforts. As a direct result of his mass email, DEC “sold $13 million or $14 million worth” of their products. Of course, what Thurek really did was create the first spam email; although it was certainly the beginning of what we now affectionately call email marketing. Since that time, email marketing has become more advanced, and less intrusive. Rather than collect a random sampling of contact information and fire away, companies now target specific users who have already shown an interest in their product, been flagged due to their browsing patterns, or who at the very least have visited their website. Incidentally, this is where the email marketing journey begins; collecting the right data. In today’s age, it’s impossible to conduct a successful email marketing campaign without a populated list of users. The best (and most moral) way to accomplish this is to build a permission-based list. Lists like this can be built by offering something to individuals. Exclusive access to sales, marketing, or technical advice; a download code to an eBook; or invitations to “members only” events. If your business offers a service, you can also offer free-demos in order to attract interested users. There are other ways to acquire a populated email marketing list; namely through purchasing them. While you can go about email marketing this way, it’s important to note that it’s always a terrible idea to do so. Put more simply, you don’t want to take shortcuts when it comes to building an email marketing list. Take the time and effort into building a permissions-based list. Not only will you be targeting a better group of consumers, but there’s also no chance of your campaign being infected by a poisonous email address. Depending on how many users you want to reach, how you want to talk to them, and how much creative control you’d like to have for your email marketing campaigns, trying to find the perfect provider can be just as difficult as actually putting together your list. Fortunately, Business News Daily has already done a significant amount of legwork, and provided detailed reviews for a number of software systems. They’ve reviewed more than 50 platforms, which should undoubtedly be more than enough for you to start the process with. It’s also important to ask yourself the right questions to ensure you land on the right email marketing solution. The answers to these questions will ultimately direct you to the tailored solution. While this may be time consuming, and potentially delay the start date for your email marketing campaigns, it’s vital that you put forth the time and care that these questions require. If you speed through them, and wind up with the wrong platform, you’ll need to start back at square one. Once your email marketing campaign has been set up, it’s time to monitor the results. Unfortunately, this is where a number of people begin to lose a grasp on what’s really going on with their data. Too often do email marketing users rely only on email open rates, and take the results at face value; but it’s vital to dig deeper, as Chris Woodard explains. “What most don’t know is that the mail open rates that your email automation reports is never 100% accurate. And whether you use Streak…SugarCRM, SalesLoft, MailChimp, or any other solution, this is still the case. Fortunately, thanks to echogravity, there’s a workaround that can be used in these situations. 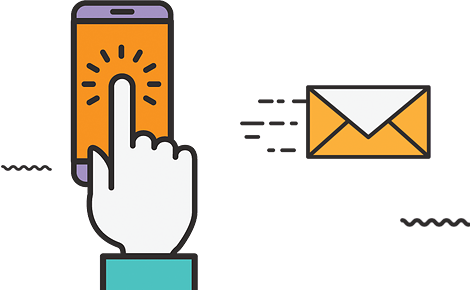 To compare your open and clickthrough rates with other businesses, Smart Insights has this compilation of Email open and clickthrough rates from different sources. With email marketing, it’s crucial that you don’t take any shortcuts. While that’s generally true for most things in life, it’s especially true for this business practice. Cutting corners and accepting data without fact-checking can lead to disastrous results. Before getting an email marketing campaign up and running, make sure that you’ve built a permission-based list to target, and that you’ve asked yourself the necessary questions to determine which platform to use. The Breakthrough SEO Marketing Agency is a collaborative of online marketing professionals, each with specific areas of expertise complemented by wide ranging professional and personal experiences. The characteristics that our team members share in common are: aspirations of excellence, respect, resourcefulness, consideration, humanity, and personal responsibility. Our goal is to help our clients reach their goals by harnessing the internet, information technology, and data analysis. Call us with your questions.